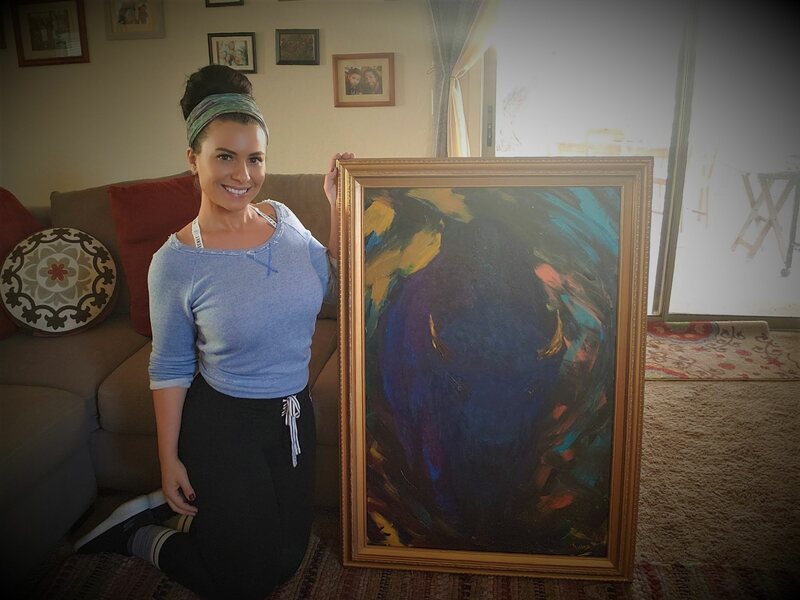 ReAnna is an Arizona-based artist. Art has always been her passion. She has been painting and creating art for as long as she can remember. ReAnna loves to express what she sees in the world, herself, her country and others through color on canvas. ReAnna grew up close to nature in the beautiful Pacific Northwest. Her art is inspired by her native roots and often reflects moody atmospheres and totem animals. You may recognize ReAnna from her social media presence as Hublette--spouse to the prominent and rowdy talk show host Brenden Dilley, and herself a weekly co-host of two shows: American Woman a lifestyle show, and The Better View a "new media" current events and culture talk show.